When you are interested in social sciences as both Mary and I are, you occasionally find yourself in a position of personal conflict. For example, we are both pacifists at heart but we grew up with parents who lived through the horrors of WWII. So, when we went to England in 2008, our wanderings took us to Winston Churchill’s underground bunker in London, and the War Museum for a look back in time. As children of the 50’s and 60’s, even though we grew up in Canada, we were always aware of the Cold War between the United States and the former Soviet Union. 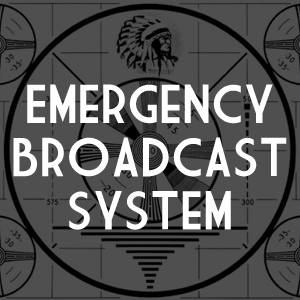 Between discussions at school about bomb shelters, air raid sirens and the Berlin Wall, as well as the weekly tests of the Emergency Broadcast System on the Buffalo and Detroit TV stations we watched, we were all too aware of the tensions that existed between the two super-powers. So, when we were sourcing out things to do in the Tucson area, we came across something that threw us into one of those conflict conundrums – the Titan Missile Museum. It is a fully preserved missile site, the last of the 54 that were on alert in the United States between 1963, and 1987, and it is the only one in the United States that the public has or ever will have access to. Whether we like it or not, the Cold war was a reality and a part of our growing up. We couldn’t shake the curiosity or wondering of what the missile site looked like. So we cautiously and maybe even a bit reluctantly, decided to go and check it out. We told ourselves if the stories being related at the Missile Museum reeked of any kind of propaganda, or a justification of U.S. military spending, we wouldn’t stay long, and we certainly wouldn’t go on any tour. When we arrived, we found the facility to be quite low-key, and fairly nondescript. Its’ official name is the Count Ferdinand von Galen Titan Missile Museum, named after the Chairman of the Arizona Aerospace Foundation. We entered through a gift shop, and were told that we should enter the film room to watch a 20 minute video about the missile site, and that we could browse for souvenirs later. I admit to having an “oh no” moment at that point. What if this was a chest-thumping, military might-type film, exactly what we were wanting to avoid? However, we were somewhat trapped so in we went, where we joined one other couple in a rather smallish class-room type setting. The silo became operational in 1963 and was deactivated in 1982 as part of President Reagan’s policy (announced in 1981) of decommissioning the Titan II missiles as part of a weapon systems modernization program. All operational Titan II silos throughout the country were demolished, including 18 sites around McConnell AFB in Wichita, Kansas, 17 sites near Little Rock AFB, Arkansas and 17 other sites by Davis-Monathan AFB at Tucson with the exception of this one. It is now a National Historic Landmark. The Titan II was the largest operational land based nuclear missile ever developed by the United States. The missile had one W53 warhead with a yield of 9 Megatons (9,000 kilotons). Expressed another way this warhead was 450 times more powerful than the bomb that was dropped on Hiroshima in 1945. The facility’s highest state of alert was November 22, 1963, when President John F. Kennedy was shot. When news of the shooting broke, the keys used to launch the missile were ordered to be placed on the tables at the launch consoles to prepare for a possible launch. The Pentagon did not yet know whether the Soviet Union had committed an act of war. The keys were not, however, placed in their switches. Able to launch from its underground silo in just 58 seconds, the Titan II was capable of delivering it’s nuclear warhead to targets more than 6300 miles (10,000 km) away in about 30 minutes, with a stated degree of accuracy of less than a mile. After watching the video, we were taken outside and were walked around the surface of the underground site. In the picture below, you can see the roof of the silo which contained the missile. The 760 ton doors are permanently locked in a half-open position in accordance with the US/USSR peace accord. The tour guide, who was equal parts engaging and informational, was also very humble when talking about the weapon, the site, and the reason’s for its existence. We entered the tour by going down a series of steps, and through a 3-stage set of coded doors, that took us deep underground. As we walked along the corridors, we were told about the isolated state that the men and women served in, while working underground at the facility. By the way, these Titan Missile sites represented the first time in history where women were assigned to do the same jobs as men, and did so many years before the rest of the military forces in the United States saw fit to treat women as equals. Once we reached the control room, Mary was singled out to play the role of site commander and was made to sit at the command desk. Everything in the room was still operational although we were told the computer equipment was severely outdated. As part of the demonstration our guide told us that there were always three people in the control room, one systems expert standing and constantly checking the control panels, and two operating the equipment. The two operations people who, if they’d had to launch the missile, were intentionally placed at stations that were just far enough apart to ensure that no one single person could launch the missile by themselves. In addition to the operational panels, computer and communications equipment, and the command station, there was a filing cabinet with one red drawer at the top and two locks. The “launch” keys were kept in this drawer and once again it required two people with their own personal locks to access the keys. Each time a shift ended, the locks were removed one-at-a-time by the crew going off duty, and replaced with new locks, belonging to the next team. The missile’s computer could hold up to three targets, and the target selected was determined by Strategic Air Command headquarters. To change the selected target, the crew commander pressed the appropriate button on the launch console. Mary, in conjunction with the tour guide got to experience a simulated launch sequence, including the installation of the secret code (that could only be provided by the commander-in-chief, the President of the United States), and the turning of the keys. Even though it was just a simulation, Mary said that when she turned the key, the hair stood up on her arms and on the back of her neck as she realized the potential impact of what she would have been initiating, if this had been a real, live launch. The 103-foot Titan II missile inside the silo no longer has a warhead nor has it ever been fueled, allowing it to be safely displayed to visitors. The dummy re-entry vehicle mounted on the missile also has a prominent hole cut in it to prove it is inert. At the conclusion of the tour, we went into the gift shop and purchased a couple of pins to add to Mary’s ever-burgeoning collection. We also took a moment to have Mary pose beside an actual stage one re-rentry capsule. We were then left to our own devices and allowed to go back outside and explore the “top-side” grounds, giving us a chance to examine some of the equipment that still remained on site. For those of you that are more weapons-savvy than I am (I always skip all the tech stuff in the Tom Clancy and Stephen Coonts books I read), I include these two charts that provide more details about the Titan II missile, and the Silo and Launch Duct that houses the missile to this day. We walked the grounds with the couple that had been on the tour with us, and found out that the woman had grown up in Tucson. She said that most everyone who lived in Tucson during the 60’s, 70’s and 80’s was aware that somewhere close-by, there were missile sites, but no-one knew exactly where. She said, it was common knowledge that Tucson was among the top 5 target sites for the USSR, if they ever decided to launch a military strike against the United States. When I asked her if she had lived in fear as a result of that knowledge, she said no, but nevertheless was always aware that her home town and everything for hundreds of miles around it would have been wiped off the face of the earth if missiles had ever been fired during the Cold War. It has been 28 years since the museum was opened, and the missile was deactivated, but this was the first time she had ever come to see it. It is staggering to imagine that 53 of these giant weapons (there had originally been 54, but one was damaged in a launch-pad incident in Kansas) had stood on alert for more than two decades, for 24 hours a day, for seven days of the week – and depending on your perspective heightening the threat of a nuclear war, or preventing one. Previous Post Thank Goodness for John Dillinger…. Next Post While in Tucson….